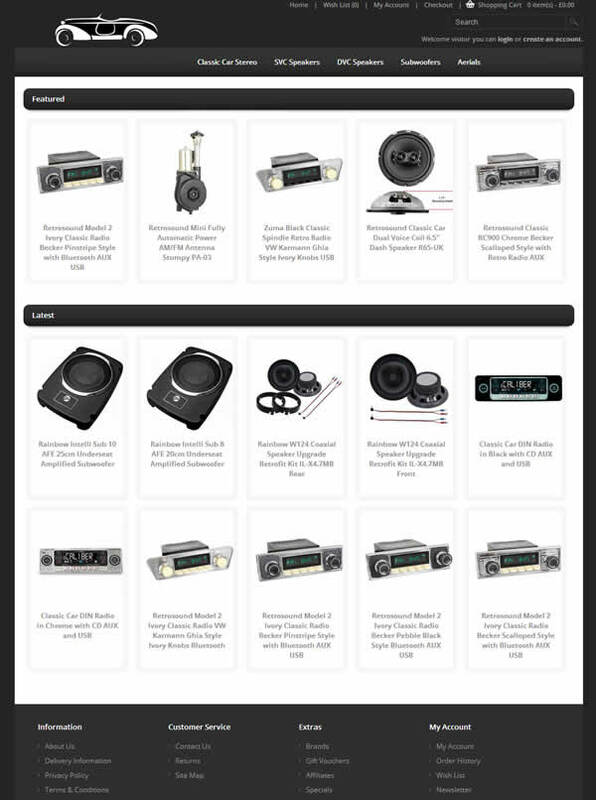 We have revamped our Classic car stereo website with a new eCommerce shopping portal. Recently we brought in from America the latest batch of car radio’s, speakers and aerials for old classic and restored cars. This range has the very latest modern electronics inside what looks like period head units with separate control spindles. There is a huge amount of different knobs and Fascia styles to choose from as well as special double voice coil speakers for single centre dash mount and also special hide away aerials so you don’t have to cut holes in your precious classic cars. The old www.retrocarstuff.com website needed a spruce up anyway and now it has a much slicker shopping experience using Opencart and a theme that matches the original site layout.